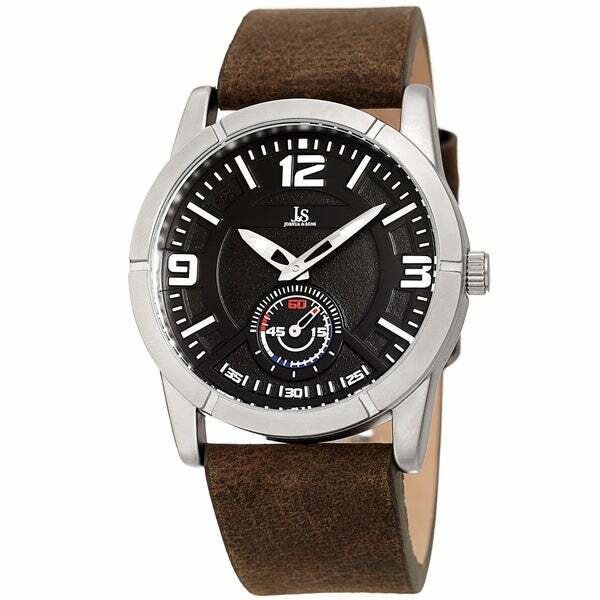 This sporty timepiece from Joshua & Sons features a round case with an indented beveled bezel. The textured dial is adorned with a marker plate and a sub-second dial. The distressed leather strap completes the stylish design.